Would you believe us if we told you that over 90% of magicians get their misdirection techniques wrong? NOTE: The secrets of powerful misdirection techniques we’re about to share come directly from one of the most influential magic books of the century—The Books of Wonder. 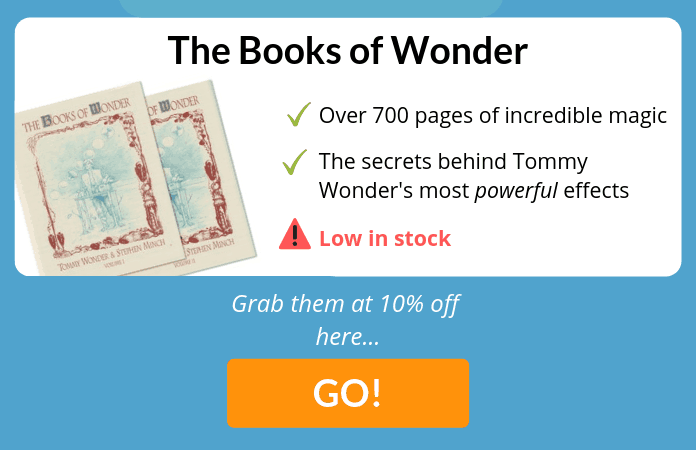 The Books of Wonder were written by legendary magician Tommy Wonder—one of the most elite misdirection masters of all time. 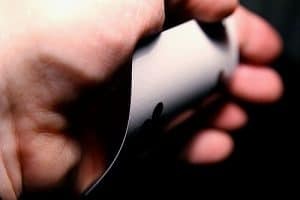 Misdirection Techniques: No.1 – Drop The ‘Mis’! First of all, what really is misdirection? Most magicians believe ‘misdirection’ is about distracting your audience as you make a secret move. The truth is far more exciting. When a great magician uses misdirection correctly, the audience doesn’t FEEL distracted at all. Quite opposite, they would swear they’ve been staring at the magician’s hands the entire time—and that they’ve NEVER looked away. That’s what misdirection is all about. We want our spectators to believe that THEY are in control of their attention. In reality, we choose where they look, and what they see, at every moment. Wonder starts his epic lesson on misdirection by pointing out that the term ‘misdirection’ itself sets us up for failure. The word seems to combine ‘wrong’ and ‘direction’. 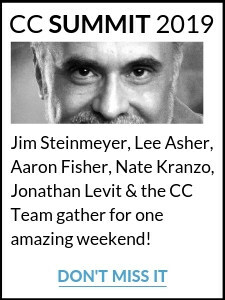 It’s as if we magicians force our audiences to look in the wrong place—and miss seeing the secret action. Wonder makes it clear that this attitude only serves to make our job harder. Instead of directing the audience’s attention away from the method, Wonder urges us to direct the audience toward the effect. Chances are, you’d look straight at his left hand! According to Tommy Wonder, that’s exactly how misdirection works too! The harder a magician tries to make the audience look AWAY from something, the more they want to look TOWARD it. You’d look at my right hand! Of course you would. And at the same time, your attention would automatically move AWAY from my left hand. Instead of desperately trying to make the audience look AWAY from something secret, simply help them focus their attention TOWARD things that are interesting and important. That’s how secret moves become not only invisible—but completely imperceptible too! A magician puts together a new routine and tests it out on a couple of audiences. The magician notices that there’s a couple of sections where the audience is really staring at their hands and making it hard to accomplish the sleights. To fix the problem, our magician decides to slap some misdirection in there to cover it up. They find a way to make the audience look away, or create a distraction or diversion in the moment. And sometimes…it works! Other times, it doesn’t. But it’s never ideal. Think about it this way. 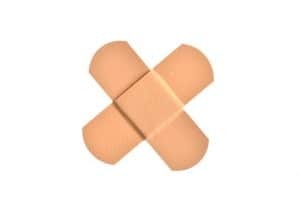 If you’ve cut yourself, a band-aid may hide the cut—but it doesn’t heal the wound. If you treat misdirection like a ‘band-aid’ to plaster over magic challenges, you may get away with it temporarily—but you won’t have a lasting solution. For best results, build clear and compelling misdirection into your effects and routines from the very beginning! When the misdirection is built into the structure of the trick, it blends seamlessly into the action of the trick. When we make something up on the spot, we may ‘’get away with it’, but in most cases, the results feel forced at best. Remember, YOU are the magician here. In the eyes of the audience, you’re the ‘important’ one! This is a key concept to grasp when getting to the core of how misdirection works. If you want the audience to look at something—YOU look at it! If you want the audience to look away from something—YOU look away from it! 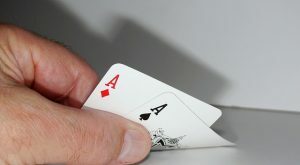 For example, if you stare at a particular card, the audience are going to stare at the same card. If you stare at a certain spot on the table, the audience will stare there too. If you look away from one of your hands, the audience will look away from it too. Are you starting to see how this could come in handy in misdirection? If you want to draw ‘heat’ away from one of your hands—look somewhere else! It’s easier said than done—sometimes, all you want to do is keep an eye on the hand doing ‘the dirty work’ to make sure it looks right! Do not give in to this urge! If you risk a glance at your hand while it’s performing the sleight, you can bet your audience will do the same. And that can lead to all kinds of problems! So, how do you keep yourself from glancing at your ‘guilty’ hand at the key moment? Tommy Wonder has the answer…. Misdirection Techniques: No.5 – Forget About It! You’ve planned your misdirection. You know exactly what you need to do. He’s saying that you shouldn’t overthink it. And if possible, in performance, don’t think about it at all! Stress doesn’t help! Do your best to ignore the ‘tricky business’ and instead, do something useful! Focus on your performance—and your audience. That’s how you put yourself in control, engage your crowd and keep them focused on what matters. If you TRULY focus on the story you’re trying to tell, your audience will as well. And when that happens, misdirection becomes not only painless—but one of the most fun parts of performing magic. Did you know? This is actually one of the routines you’ll learn when you buy a copy of The Books of Wonder! Misdirection is one of the most powerful tools you have— use it! When you combine the five misdirection techniques we’ve gone over here, you’re bound to see a HUGE increase in the strength of your magic. That was a lot of information! Believe it or not, all these tips (AND MANY MORE) are taught in just the first section of The Books of Wonder. 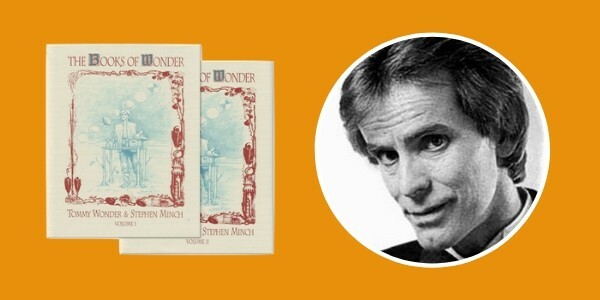 The Books of Wonder have a total of nearly 700 pages, over 50 incredible tricks, and a WEALTH of advice from one of the greatest magicians of all time. Tommy Wonder teaches by example, and you’ll discover more about how misdirection really works in one chapter of this book then you will watching YouTube videos for a decade. Plus, there are so many incredible tricks and effects packed into these books that you won’t need to buy and more magic for a LONG time. So you’ll end up saving a lot of money on your magic! 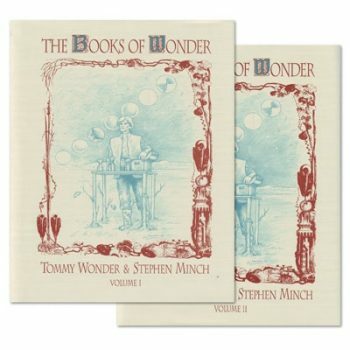 You can find The Books of Wonder, by Tommy Wonder right here at the Conjuror Community store! But fair warning—once they’re gone, they’re gone. CLICK HERE to buy The Books of Wonder!